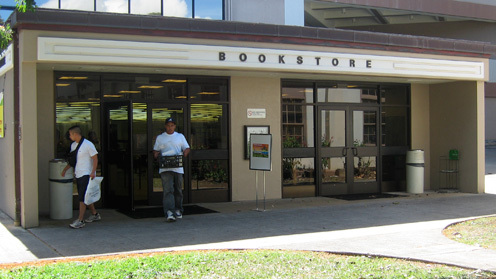 The main bookstore is located on the University of Hawai'i Mānoa campus, offering a wide selection of academic books and general merchandise. Located in the Campus Center building, it is responsible for the daily operations of four retail departments (Textbooks, Tradebooks, General Merchandise and Insignia, and Computers), Operations (Receiving and Shipping, Cashiering, and Custodial), and the Medical Bookstore. The Mānoa Bookstore provides administrative, technical and personnel support to branch bookstores as needed.